Annick Hansen, 7, worried about how a mast would affect the nautical-themed racer she made with her 8-year-old partner, Margot Ehrsam. Peter Burke, 8, had other concerns. “Well, my car is really humongous, and I’m a little worried about getting through the obstacles.” His father, Justin Burke, stared down the eighth of a mile track toward the distant finish line. “I’m definitely concerned here with the braking mechanism,” he said, a little sweaty above the brow. 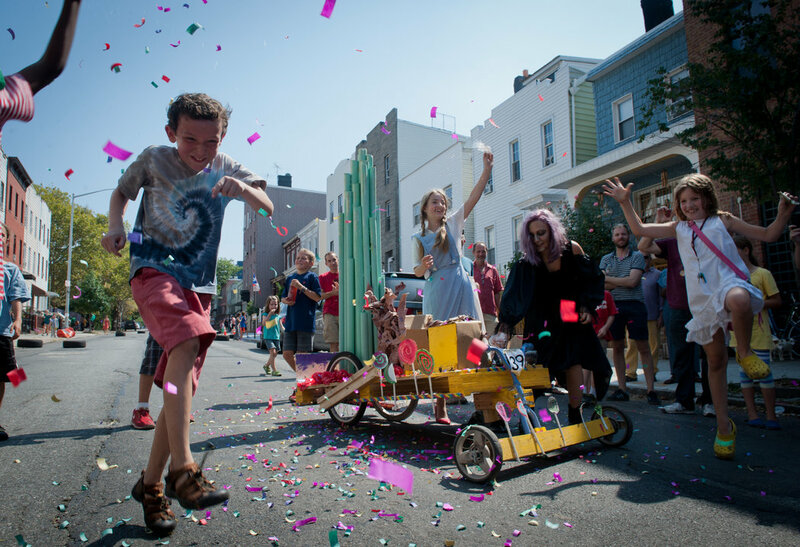 The children were taking part in Open Source Gallery’s seventh annual Soap Box Derby on 17th Street in Park Slope, Brooklyn. Their vehicles, made from salvaged materials over the course of a weeklong camp, would roll downhill past trees and rowhouses, around an obstacle-strewn middle passage and through a final straightaway toward the judges’ table. Entries were judged on speed, design, engineering and originality. Monika Wuhrer, a founder of Open Source, announced that all participants should report to their places. 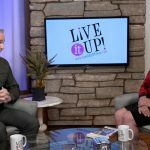 Ms. Wuhrer, an Austrian sculptor, started the nonprofit with her husband, Gary Baldwin, a photographer, with the idea of fostering community through art. Ms. Wuhrer was moving up and down 17th Street throughout the derby’s 90-minute duration, which began promptly at noon with a starter’s flag. And they were off, one at a time, down the slope, past the trees and houses, past the friends and family and neighbors who lined the street and crowded the stoops to cheer, and finally over a stretch of duct tape that marked the finish line, where, much to his father’s relief, Peter Burke’s car stopped on a dime. Then came the last car. Maya Engstrum, 13, and Jolene Lower, 14, legends in this local race, were dressed, respectively, as Dorothy and the Wicked Witch of the West. The girls, riding a yellow-brick base with an Emerald City fin, tossed candy and shot confetti to the parade of children that followed their trail down 17th Street toward the finish line — and the end of summer.